Harare magistrate Mrs Rumbidzai Mugwagwa yesterday dismissed MDC-Alliance legislator for Kuwadzana East Chalton Hwende's application for refusal of further remand saying the messages he sent on his Twitter account were meant to remove a constitutionally elected government through illegal means. Hwende is facing charges of subverting a constitutionally elected government. In dismissing the application, Mrs Mugwagwa said the messages on Hwende's Twitter account called for an unconstitutional removal of a constitutionally elected government. She further stated that there is a link between the accused and the Twitter account which she said raises suspicion that he committed the offence. Hwende, through his lawyer Mr Harrison Nkomo, had applied for refusal of further remand arguing that the Twitter account did not belong to his client. He also said criminalising the words "Shut down Zimbabwe" is in violation of the Constitution. Prosecutor Mr Charles Muchemwa responded saying Hwende's conduct incited public violence countrywide. Mr Muchemwa alleged that during the period extending from December 28 to 31, 2018, Hwende posted on his Twitter handle messages that in their nature had the effect of inciting the people to revolt against the Government both in his personal capacity and as an MDC-Alliance Member of Parliament for Kuwadzana East constituency. Hwende's Twitter posts allegedly incited the public to overthrow the constitutionally elected Government of Zimbabwe by engaging in mass protests characterised by violence and hooliganism. "We can't continue on this trajectory of failure and kwashiorkor of leadership. Enough is enough? In January, citizens must organise themselves for a complete shutdown of the country. Stay at home, no one will shoot you," read one of the posts Hwende allegedly sent. 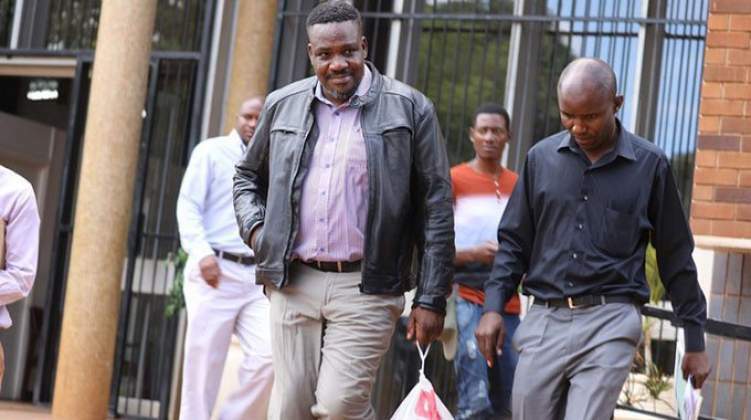 He further alleged that Hwende posted a message to the effect that 2019 was the year of rolling mass action against President Mnangagwa. "We voted for @nelsonchamisa and we must be prepared like the thousands of gallant liberation struggle heroes to die defending our right to choose the president of our choice #2019ChamisamuOffice," tweeted Hwende. "During the period between January 14-16, in response to the Twitter messages by the accused and others, members of the opposition, various trade unionists, pressure groups, youth forums and the general public of Zimbabwe committed various acts of public violence and hooliganism countrywide," Mr Muchemwa told the court . The State alleges that as a result of the nationwide public violence committed by demonstrators following incitement by Hwende, lives were lost, multitudes of members of the public and police officers were injured, while some police institutions were attacked.